This is my 200th post on “Nature Scribe”. 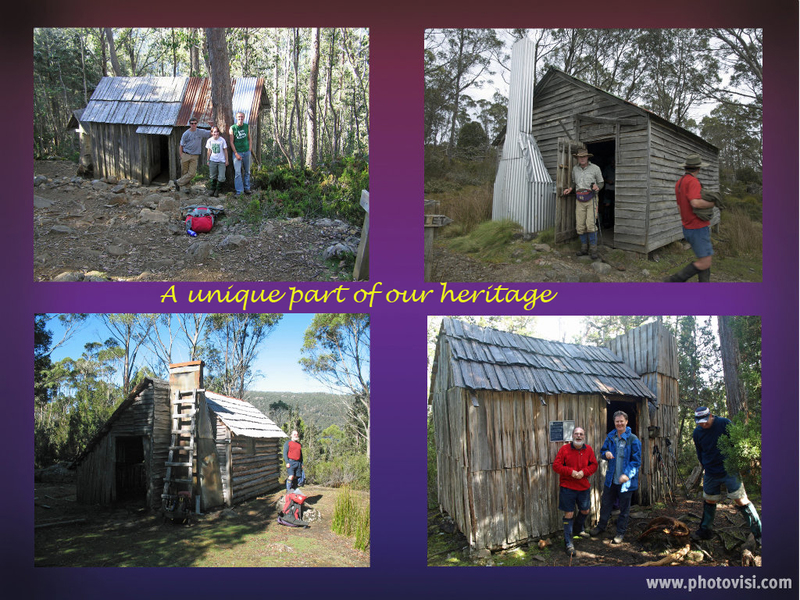 That’s something to celebrate, and I want to do it with a set of images – and some words – featuring some of Tasmania’s humble walkers’ huts. Thanks for being part of my blogging journey. I always appreciate your comments, whether posted or private. In the coming months I’ll be scribing about nature in parts of Europe, from Scandinavia to Paris; Berlin to the Alps. You can expect a few contrasting thoughts and images on the nature that we’re part of wherever we are on this planet. Given that this post celebrates huts, it might seem odd to confess that I have something of a love/hate relationship with them. Actually it’s more of a “quite-like/am-slightly-agitated-by” relationship. The agitation comes in part from my allergies to dust and mold. 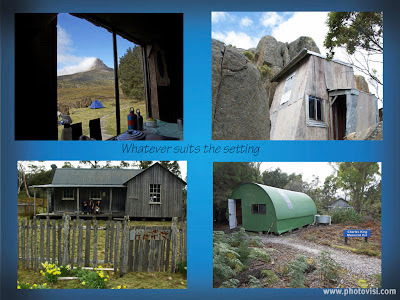 And let’s face it, most huts are ideal breeding places for both of those. Strike one! Sharing a hut also means sharing snoring. I both give and take on that front! And I can recommend ear plugs. But even that doesn't prevent a certain level of frustration. 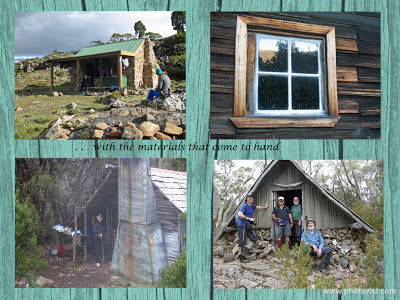 I have been in a hut with a (snoring) friend who was woken before dawn by a frustrated hut mate shouting at the top of his lungs “WILL YOU SHUT UP! !” Perhaps that's two strikes against huts. I have also slept rather too close to a couple who were getting more amorous than most of their hut mates would have preferred. They say love is blind, but in this case it was deaf too! Strike three, surely! So is it three strikes and I’m out of there? Out to my nice quiet tent? Well no, actually. Even if I prefer to sleep in a tent, I do love the sociability of cooking and relaxing in a hut. 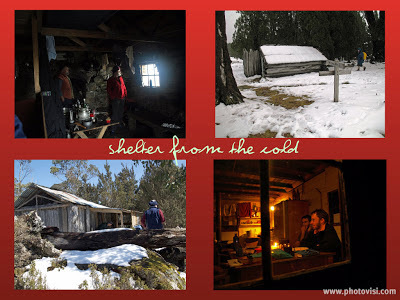 And so much the more if there’s also a fire or heater in the hut. Those social exchanges around a flame – even a candle will do – are part of a deep species memory. To be out of the elements, belly full, and sharing stories of the day by a flickering light, is surely an ancient contentment.